Do you go above and beyond the call of duty? How often do you apply the Golden Rule? These are the characteristics of the cowboy way. Cattle have played a large role in the history of America. Early explorers brought livestock and work animals on their journeys to the Caribbean from Europe. After a few decades, Spanish explorers brought these animals to inland places like Mexico where these animals began spreading. Later, during the period of westward expansion, raising cattle quickly became the most profitable form of farming. Any entrepreneur would have jumped on the opportunity to make money off cattle, but there was no way to make profit without help. The cowboy was the answer to this call for help. Anyone could become a cowboy. There were cowboys of every descent: European, Indian, Spanish, etc. There were also many cowgirls. This extremely mixed profession was truly the first equal-opportunity form of employment. The work of a cowboy was simple: wake up around four in the morning, get something to eat from the ranch cook, and then try to keep the herd under control until supper. Cowboys could expect dinner to be anything from bacon to beans. Perhaps the most labor-intensive time in a cowboy’s life was the cattle-drive. The amount of cattle transported could be anywhere from 35,000 in 1867 to 600,000 in 1871. 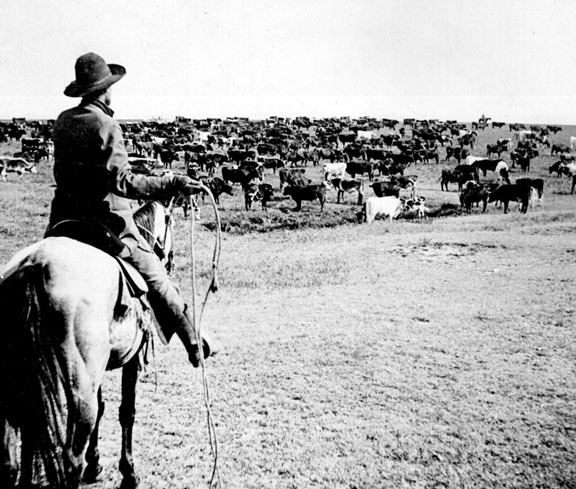 Annual cattle drives quickly became a great way for farmers to make money off of their produce. 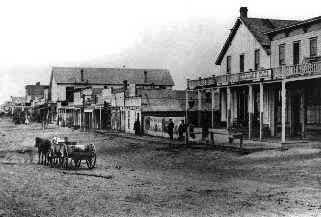 Many ranches were weeks from a cattle town. A small band of men, usually on horseback, was tasked with keeping their load of cattle moving in the right direction, while not losing any. Many times this journey to civilization was extremely dangerous, filled with problems such as dehydration and stampedes. At the end of a cowboy’s journey was a cattle town. Cattle towns were usually nothing more than small outposts where few people lived. Cowboys brought cattle according to their ranch affiliations. After a tough and drawn out few months, civilization was a welcome sight. After catching up with the townsfolk and finishing business, cowboys collected their entire season’s pay, usually a dollar a day. Armed with anywhere from $60 to $90 (now $1580 and $2370, respectively), cowboys began replenishing their supplies. 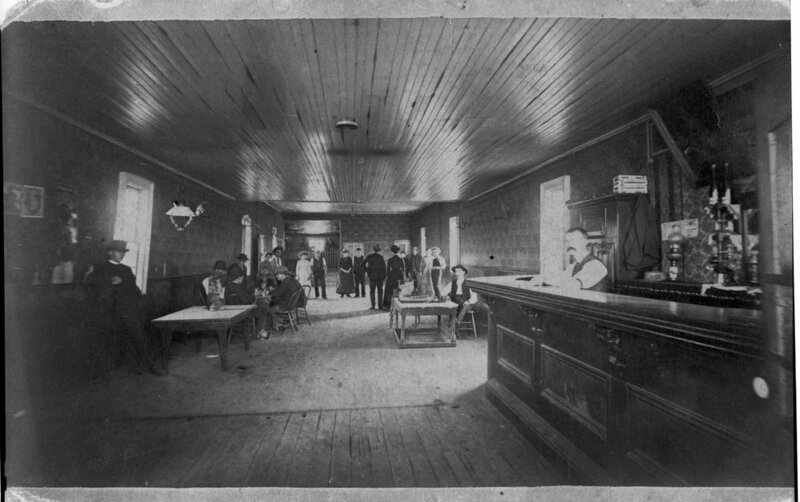 The first stop on a cowboy’s list of errands was generally to a tailor and then to a leather-worker. After months of abuse, new boots were usually required as were pants. Custom boots, stamped with a lone-star, cost about $20. These boots were fitted and built to each customer’s specifications, crafted by hand, as works of art. 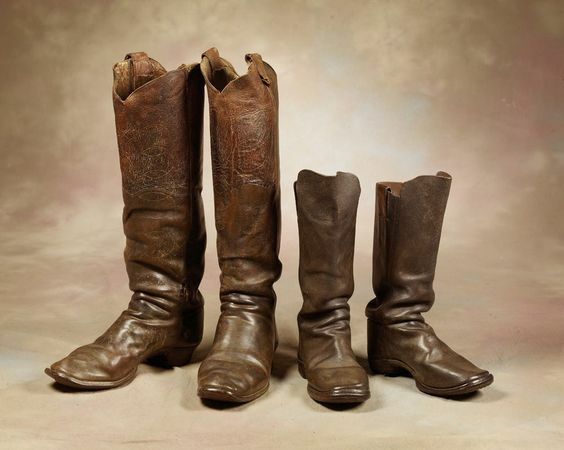 Just like almost every other item he owned, a cowboy’s boots were meant for hard work. The boxed-toe design was meant for catching stirrups during the mounting process, while the high-heel was meant for keeping the boot in place while riding. The height of the boot was usually a foot or more, in order to protect from dust and thorns during extending outings. After completing their responsibilities it was not unusual to catch a cowboy at the salon, and later on, at the saloon. Quietly observing and exchanging news were two of the most common activities the off-duty cowboy would engage in. Brawling and excessive drinking were not usually an issue; tired cowboys would generally mind their own business, unless provoked. Prior to contrary belief, cowboy’s usually kept to themselves while in town, weary from the work they had accomplished. As on the range, cowboys continued to keep their horses, friends, and guns close. No shift changes occurred on the open range, no night shifts…no time off. Spending around three months with the same small group of people forced one to make friends. Having good friends might as well have been required on the frontier. If your fellow cattle-herders didn’t have your back, who would? Dangers such as getting lost or attacked generally became less common with other people around. 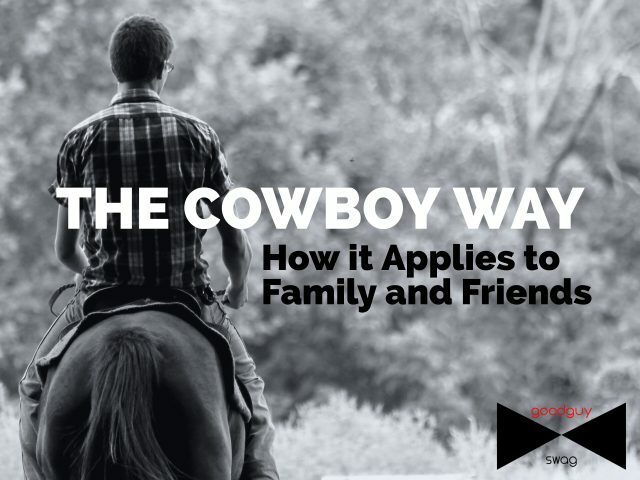 By learning to rely on each other, cowboys effectively became family. A cowboy would have understood, whether biological, or not, these men were family. A cowboy would have done anything to protect his brothers, whatever the odds. And this is where I feel we slack off. This is where we watch the American cowboy die. Don’t go looking for trouble. Approaching someone with trouble in mind is usually the best way to get labeled a jerk. Don’t feed somebody’s fire and don’t give them any more ammunition than they have. If they’re already trying to ruin you, the worst thing you could do is give others a reason to agree with them. Share your feelings with someone you can trust. If something happens, you don’t want to fight alone. History repeats itself, and usually a small, dedicated force can get the job done better than a loosely organized mob. Proverbs 25:22 talks about heaping burning coals onto your enemy’s head. Until a compromise or understanding can be reached, take a play out of Paul’s book. Paul discusses the above passage in his letter to the Romans. 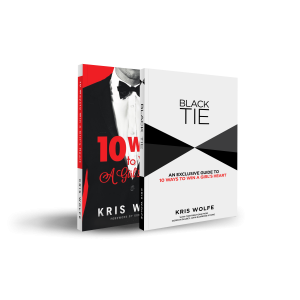 He encourages the reader to meet the needs of his enemy, in essence, treating them the way you wish to be treated. The Golden Rule could also be called the most over-quoted rule, but it still bears weight. 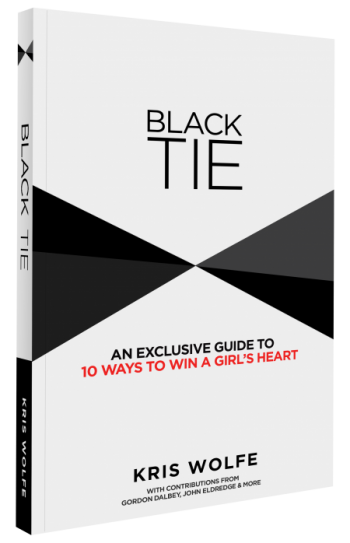 Treat the offender in the most gentlemanly way possible without making it appear that you feel you are better than your offender. By combining these three tactics we strip the enemy of his hold on us; we don’t react, we don’t fight, we don’t do anything wrong. By limiting your enemy’s ammunition, you are establishing a cease fire. Without any relevant grievances your assailant will be forced to slow the attack. By continuing to treat your enemies kindly, by going above and beyond the call to duty, you are making the distinction between your family and friends and true evil. Great article! Wow, this kid knows how to write!